I have started participating in carnivals again to draw in new readers. I’m not a big fan of using blog rolls for link exchanges preferring instead to keep them structured and pointing towards blogs I read actively (not many actually). If you are a new reader, welcome to ‘ERE”. If you like what you see, please consider subscribing using the options in the upper right corner. Unlike most other personal finance blogs, I submit that this one might be completely different compared to what you usually read because the aim is somewhat different. 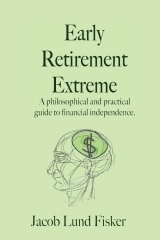 Rather than dividing life into two parts, a 30 year long working life followed by a retirement life, the aim is to retire within a decade by radically revamping your financial structure (most of what is available for the middle class is unsuitable for early retirement, you have to look at the methods generally used by the upper class) and also your way of living (same problem, you have to abandon the middle class methods and use a combination of high quality items and improvisation). In the carnivals below you might notice that ERE covers a lot of ground. It has to. The Carnival of Financial Goals: Sarah Palin Edition. My favorite post was Doing without in your 20s — by choice. More accurately I think one should do without “NOW” and then enjoy life later. In our society the opposite theory holds and it plays out on a grand scale. People are encouraged to spend their hardest working years of their life having fun and “exploring the world” only to return to the bills and 30 years of paying them off between ages 30 and 60. I say, spend your 20s developing your nest egg, and then spend the rest of your life letting that egg grow while you explore the world and have fun in the process. An Outdoorsy Carnival – September, 2008. My favorite post was Dealing With Garden Pests the Organic Way. Most approaches to modern life are inorganic. Problems are isolated and then isolated solutions are devised typically in the form of an expensive product that must be bought. Many problems beget many solutions, and that require a lot of products. Furthermore, isolating parts of a complex system frequently creates unforeseen problems, and there we go again. A better way to solve problems is to consider the whole system. Total Mind and Body Fitness Blog Carnival 64. Speaking of which Why Your City Planner Is Making You Fat is an excellent demonstration of the problem mentioned above where solving one problem creates an unintended consequence. No user responded in " Carnivals reflux edition "